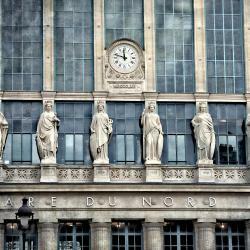 Looking for hotels near Voltaire Metro Station? In central Paris just a 7 minute walk from Bastille, La Maison de Léa offers contemporary B&B accommodations. Guests access the rooms via a private entrance and can enjoy free Wi-Fi in the rooms. Located in Paris, La Maison Gobert B&B is a traditional Parisian town house offering B&B accommodations. It features a terrace and views of the garden. Bastille Apartments offers 4 apartments located in Paris, 0.6 mi from Opéra Bastille. We Loft is a self-catering property located in Paris near Opéra Bastille. This bed and breakfast also has free WiFi. Located in the 11th district of Paris, Hôtel Fabric is a former textile factory that now functions as a hotel. Lofts Chemin Vert is a self-catering accommodations located in the 11th district of Paris. 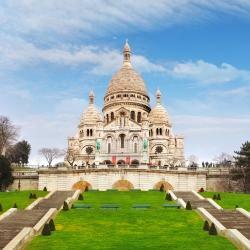 It offers free WiFi and private apartments, only a 10-minute walk from Place de la Bastille. 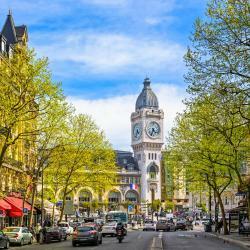 This 3-star hotel offers a central location overlooking the bustling Avenue de la Republique and is surrounded by lively bars and restaurants. The staff was friendly and helpful. Located in the Marais district in Paris, this 4-star hotel offers rooms and suites set around a 4921 ft² courtyard. It also features private parking and a bar. Bed very comfy, room well lit, window had a view, and was able to be opened. Bathroom clean. Maison Bréguet is a hotel with a restaurant and a bar in Paris, 1640 feet from Place de la Bastille. Guests can enjoy massages and use the fitness center in this 5-star hotel. Hotel room and bathroom were larger than a typical Parisien Hotel. Wi-Fi was excellent. Located in the 11th district of Paris, just a 10-minute walk from Place de la Bastille, Exquis Hotel by Elegancia offers rooms with contemporary and unique design. The staff are great, very friendly and nice. 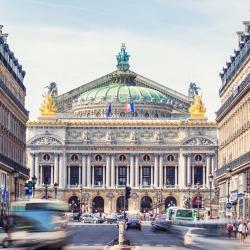 Located in Paris, L’Antoine has been entirely designed by Christian Lacroix and is located a 6-minute walk from Place de la Bastille and Bastille Opera House. Eggs were great. Room was comfortable. This modern hotel is set in the heart of Paris, just a 3-minute walk from Place de la Bastille and Place des Vosges. It offers an on-site bar and brightly decorated rooms with free Wi-Fi access. Fantastic location in Marais only a few steps from Bastille and Plas de Voges. Located in central Paris, Hôtel Marais Bastille is just a short walk from the Place des Vosges. It offers soundproofed accommodations equipped with air conditioning and free WiFi. KInd and helpfull staff, clean rooms, great location. We found it a great choice. 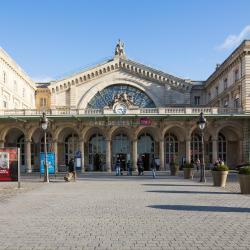 Set in a lively district, Hotel Luna Park is located in Paris, a 10-minute walk from Place de la République and the Canal Saint Martin. Very nice hotel.staff very friendly and helpful. 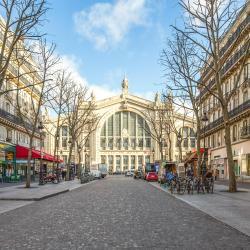 Hipotel Paris Bastille Saint Antoine is located in the 12th arrondissement in Paris, a 4-minute walk from the Place de la Bastille square and 0.6 mi from the Marais District. The room was small but so nice and clean. There was a small balcony in the room. 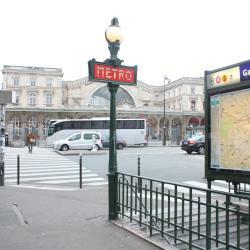 Hotels with great access to Voltaire Metro Station! Located in the 11th district of Paris, Hôtel Fabric is a former textile factory that now functions as a hotel. It was just perfect. Close to everything. Room perfectly designed and decorated. Auberge Flora is a 3-star design hotel and restaurant located less than a 10-minute walk from Bastille and the Marais area. Like most hotels in Paris, the jr.
Gardette Park Hotel offers rooms with park views and floor-to-ceiling windows, some with furnished balconies. Amazing staff and lovely room! Very clean and cozy hotel. I will come again! 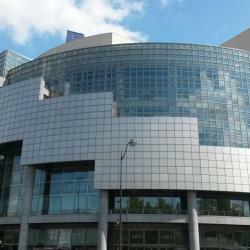 Hotel Bastille is located in Paris, within 0.9 mi of Opéra Bastille and Pompidou Center. The property is located 1.5 mi from Noter Dame Cathedral. Louver Museum is 1.9 mi away. The staff was amazing. I loved my room, too floor with balcony.